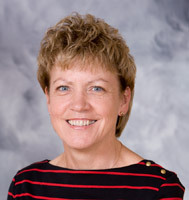 Marcia J. Slattery, MD, MHS, earned her medical degree from the University of Wisconsin School of Medicine and Public Health (formerly UW Medical School), Madison, WI and completed her residency at the Indiana University Medical Center and the Mayo Graduate School of Medicine. Dr. Slattery is an ICTR scholar, one of the first faculty members of the UW School of Medicine and Public Health so recognized for integrating research and patient care. She focuses on anxiety disorders in patients ages 5 to 18 years.